5L Digital Heating and Stirring Mantle - ON SALE! - FREE Shipping! 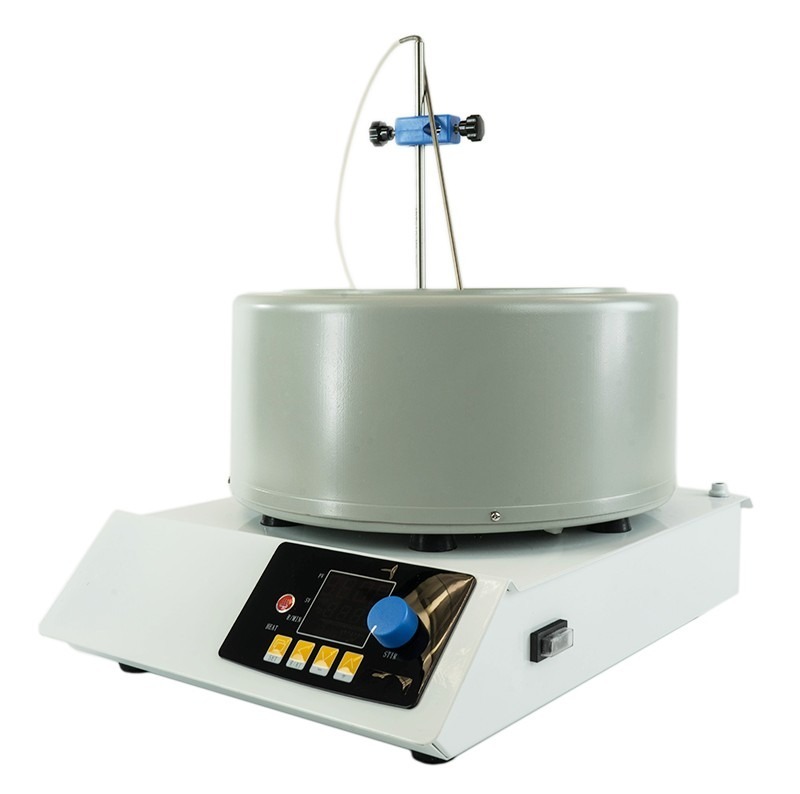 Digital Heating and Stirring Mantles give the operator the most precise temperatures and readouts during distillations. These "smart" mantles self adjust to specific user input and will repeat results time and again. Each mantle is equipped with large digital display that will give you readouts for both set temperature, actual temperature, and stirring speed. Each mantle also comes with a vertical brace bar and boss head as well as a temperature probe which plugs directly into the mantle. For first time use, the mantle should have an initial burn out done. This will burn off any residual oils used in the production of the insulation rope. Shipping Dimensions: 20 x 15 x 14 in.